WASHINGTON — Unspecified American military aircraft struck a terrorist nerve center in Somalia on Sunday, an operation believed to have killed eight al-Qaida loyalists who've staged repeated attacks on U.S. allies in the region. The precision strike comes as U.S.-backed African forces subtly but steadily intensify their campaign against al-Shabaab, a ruthless terrorist organization U.S. officials characterize as determined to plot attacks within the United States and against American interests globally. In recent months, the U.S. military has increased its footprint and activity in Somalia, assigning a one-star general to direct operations there and augmenting its small counter-terror force with conventional troops focused on training those doing most of the fighting. In a statement, Pentagon spokeswoman Dana W. White indicated Sunday's attack, which occurred around 9 a.m. local time about 200 miles southwest of Mogadishu, was undertaken as part of the Trump administration's goal to "systematically dismantle" al-Shabaab. It came in direct response to recent attacks on local forces, she said. Separately, U.S. officials described the target as a command and logistics node located within one of al-Shabaab's strongholds where the group has "cemented its control" and established the means to shelter other unidentified "radical terrorists." Speaking to The Associated Press, Somali President Mohamed Abdullahi Mohamed said the operation occurred in Sakow, which is well inland and home to a terrorist training camp. 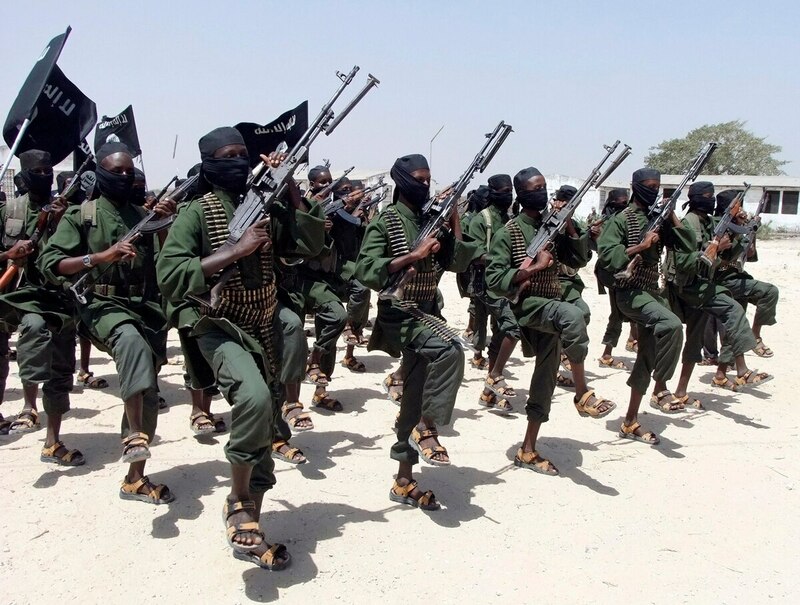 The Pentagon has come to view al-Shabaab with increasing concern, in large part because the group remains capable of carrying out deadly attacks on civilians and the alliance of African military forces fighting the group. Since late-2016, militants have overrun three bases in Somalia "by amassing large numbers of fighters and attacking in overwhelming numbers," U.S. military officials said, growing its combat capability in the process by looting heavy weapons and small arms, armored vehicles and explosives. U.S. officials won't say precisely how many American troops are in Somalia now. The number is believed to be a few hundred. But in a sign of how aggressively the U.S. military aims to address this threat, it recently dispatched a one-star Army general to coordinate the campaign there. Brig. Gen. Miguel A. Castellanos was hand selected by U.S. Africa Command chief Gen. Thomas Waldhauser "to help synchronize efforts between international military partners, pull various agencies together and develop momentum to change the dynamic of Somalia," according to a news release announcing the shift. The Mogadishu Coordination Cell, as it's called, is based at the city's airport, it says. And last month, Defense Secretary Jim Mattis signaled Washington's willingness to consider deploying additional U.S. troops to Somalia should the troubled African nation seek greater military aid to combat al-Shabaab. At the time, no such request had been made by the Somali government, but Mattis' openness about entertaining such a possibility highlights the Trump administration's evolving perspective on how aggressively it should support indigenous forces willing to fight mutual adversaries. The Pentagon's strategy there, as with other regions where a lack of governance has allowed terror groups to take root, centers on training and advising — or "working by, with and through our allies," as officials now characterize it. It also entails direct counter-terror assistance, a more-dangerous mission led by elite special operations forces. On May 5 it resulted in the first American combat deathin Somalia since the early 1990s.